After a 30 month-long suspension, the International Paralympic Committee (IPC) has conditionally reinstated the Russian Paralympic Committee (RPC) as a member. The decision was taken following the publication of a number of high-level requirements the RPC must continue to meet until 31 December 2022 in order to maintain its conditional reinstatement by the IPC. In the RPC post-reinstatement criteria, the IPC highlighted that should any of the conditions not be met, the IPC Governing Board can reconsider the membership status of the RPC at any time. The IPC may also amend the criteria should further evidence from any investigations into doping in Russia come to light. Andrew Parsons, IPC President, said: “Since its suspension in August 2016, the RPC has made significant progress in transforming its governance and how it goes about its anti-doping activities. The RPC met 69 of the 70 reinstatement criteria originally outlined by the IPC which gives us the confidence that it is now a much-improved organisation from the time when it was suspended. “As Russia disappointingly did not accept the findings of the McLaren Report, we can only lift the suspension under strict conditions. Consequently, we will continue to supervise the RPC’s actions and activities until 31 December 2022, a period that covers the Tokyo 2020 and Beijing 2022 Paralympic Games. Chelsey Gotell, Chairperson of the IPC Athletes’ Council, said: “After February’s announcement that the IPC would conditionally reinstate the RPC by 15 March, the IPC Athletes’ Council and President Parsons hosted the first ever global call with over 50 Paralympic athlete representatives from the regions, NPCs and International Federations. The aim was to address any questions and comments from the athlete community and it gave us the invaluable opportunity to discuss the decision, any misconceptions and actions moving forward. It was very well received by the athletes who joined the call. • The RPC must remain compliant with all of the requirements of the World Anti-Doping Program (including, in particular, the World Anti-Doping Code) and the IPC Anti-Doping Code. • RUSADA must not be declared “non-compliant” by WADA. • Russian Para athletes will be entitled to participate in certain competitions only if they have met the specified minimum testing requirements during the six months immediately preceding the final day of the relevant competition. • The RPC, IPC, International Federations that are members of the IPC, and RUSADA must be able to carry out their respective anti-doping activities in Russia and in relation to Russian Para athletes and athlete support personnel effectively and without external interference. • The RPC must provide to the IPC Anti-Doping Department on a quarterly basis an up-to-date national calendar showing all scheduled competition and training events during the relevant calendar year. The calendar must be accurately maintained by the RPC and any updates notified to the IPC Anti-Doping Department as soon as possible. 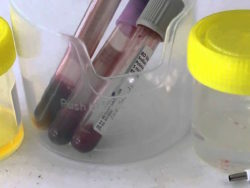 • The RPC must ensure permanent authorisation for the timely shipment of samples (urine and blood) out of Russia, without interference or breach of the chain of custody. • The RPC must procure free and unrestricted access to athletes for anti-doping testing, including (without limitation) the issuing of all necessary permits required to access ‘closed cities’ in order to collect samples at no-advance notice from athletes located there. • The RPC must reimburse the IPC for any costs incurred by the IPC in assessing compliance with the post-reinstatement criteria. • The RPC must provide detailed progress reports to the IPC (in English) every six months (by 30 June and 31 December in each year). • In 2019, the RPC must pay the IPC EUR 250,000 as a contribution to the increased testing required in relation to Russian Para athletes under the IPC’s jurisdiction. From 2020 this amount is EUR 125,000 each year for the next three years. The IPC suspended the RPC on 7 August 2016 due to its inability to fulfil its IPC membership obligations, in particular its obligation to comply with the World Anti-Doping Code (to which it is a signatory) and the IPC Anti-Doping Code. The IPC’s decision was taken after the anti-doping system in Russia was found to be totally compromised, corrupted and open to abuse. With no trust in the Russian system and zero confidence in which Russian Para athletes were clean and which were not, it was clear that Russia’s participation in Para sport events would severely jeopardise the integrity and credibility of Para sport competitions. In November 2016, three months after the suspension was announced, the IPC published the RPC reinstatement criteria and later created a detailed roadmap of around 70 measures covering areas such as governance, procedures and practices, that the RPC needed to implement before the IPC would consider lifting the suspension. 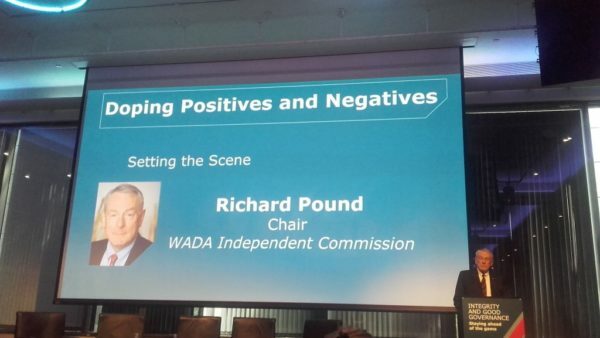 The RPC’s progress in meeting the criteria was closely monitored by the IPC Taskforce, a group of five appointed experts led by Andy Parkinson, the Chief Executive of British Rowing and former CEO of UK Anti-Doping. For the last 30 months the RPC has been suspended. As the only global sporting body to have a blanket ban in place, the suspension prohibited the RPC from entering all its athletes into any IPC sanctioned competitions. This has included two Paralympic Games (Rio 2016 and PyeongChang 2018), 11 different World Championships, four European Championships, and multiple World Cup, Grand Prix and World Series events across the 10 sports for which the IPC acts as international federation. • This media release was published by the International Paralympic Committee (IPC) on 15 March 2019. Click here for the original.